Space Shuttle, located on North St. The Space Shuttle was a multifunctional structure, a scaled replica of PS2 project space in Donegall Street, Belfast. 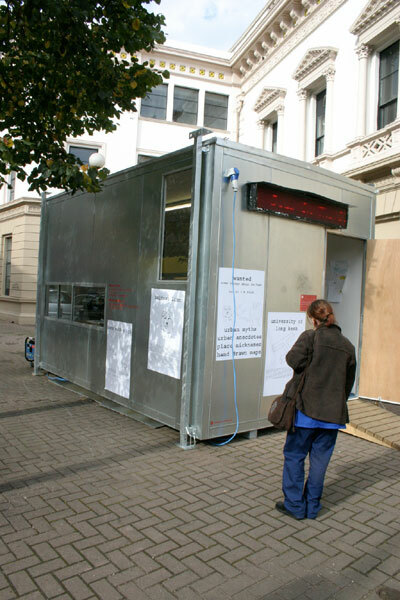 Approx.12m2 internally, this portacabin type module was sent into ‘orbit’ for six missions, each at significant locations in Belfast. For up to two weeks, interdisciplinary artists/initiatives and (community) organizations used the device as a platform for urban creativity and social interaction. For my project, 'Some Things About Belfast (or so I'm told)', 'Mission 3', I used the Shuttle as both a transmitter and receiver of vernacular information about Belfast. 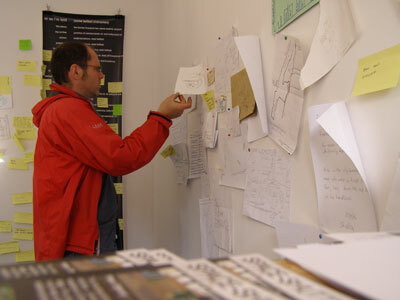 It provided an opportunity to share expand and amend my research into vernacular Belfast. 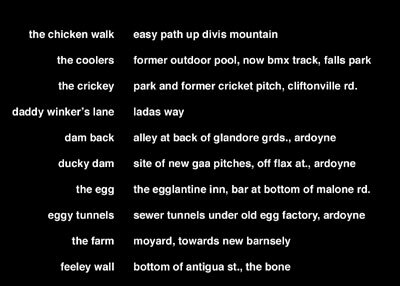 I installed elements from my ongoing collection of Belfast nicknames and hand drawn maps inside the Shuttle. Outside a digiboard relayed a new Belfast urban myth daily, whilst the Shuttle was gradually clad in posters, which told and illustrated these urban myths. The Shuttle had the appearance of an unofficial tourist office / unorthodox site office. Visitors were served coffee and tea from Belfast story mugs and had the opportunity to peruse my collection and make their own amendments and addition. 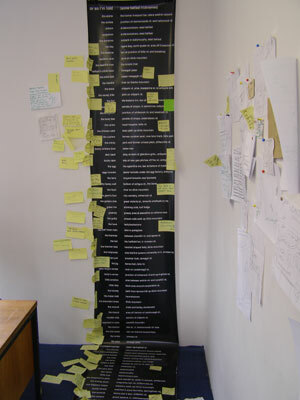 In the space of 2 weeks I met many peopleI collected another 60 Belfast place nicknames and many more anecdotes. There is a Belfast expression which says 'even the dogs on the street know it'. It is used in political contexts to reference something that is common knowledge at street level. 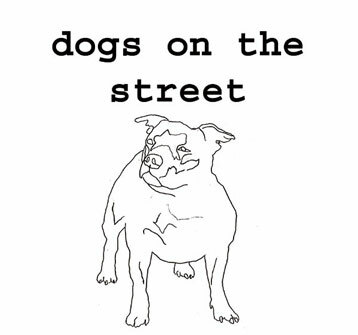 Dogs as pets are a domestic favourite in the city.